3. Enter the information as in the picture below. 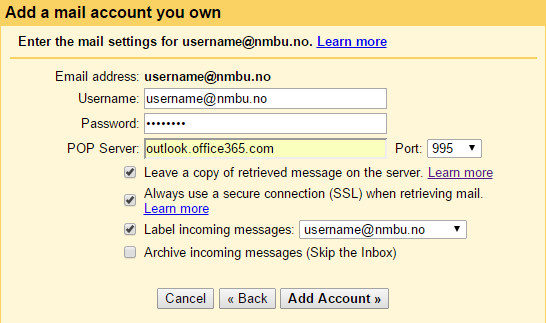 Password is your NMBU password. 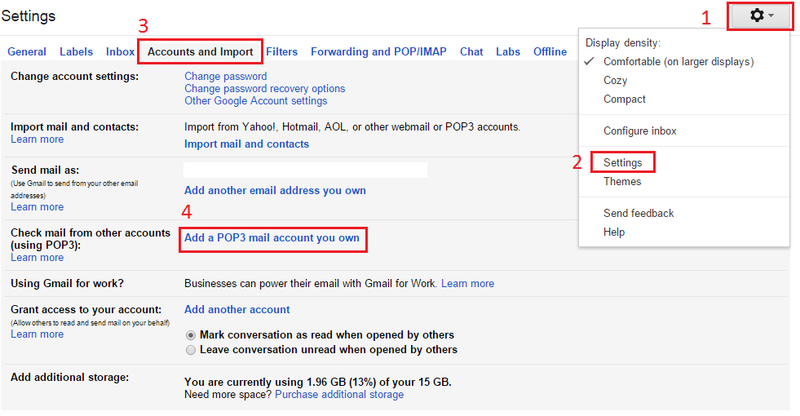 POP Server is outlook.office365.com, Port is 995. Choose “Always use SSL”, you can also choose to leave a copy of the mail on the server, and you should lable the incomming messages. 6. You will receive a confirmation email to your studentmail and you have to click the link in it to accept. When that is done you should receivee the following message and everything should be ok. This entry was posted in IT-documentation and tagged E-mail, Gmail, Students on July 3, 2015 by Anders-Budde erichsen.